Window AC only blows cold air for a few minutes. When I turn my window air conditioner to ON, the compressor turns ON. The AC cools the room for 5 minutes but then the compressor turns off. It still “blows” air but it is not COLD. When this happens and the compressor turns off, I can press the MODE button and change it to FAN ONLY mode. After 1 minute I turn it back to COOLING mode and it comes back on. Is the AC low on refrigerant or could there be a bad thermostat? Please help me fix my window air conditioner. 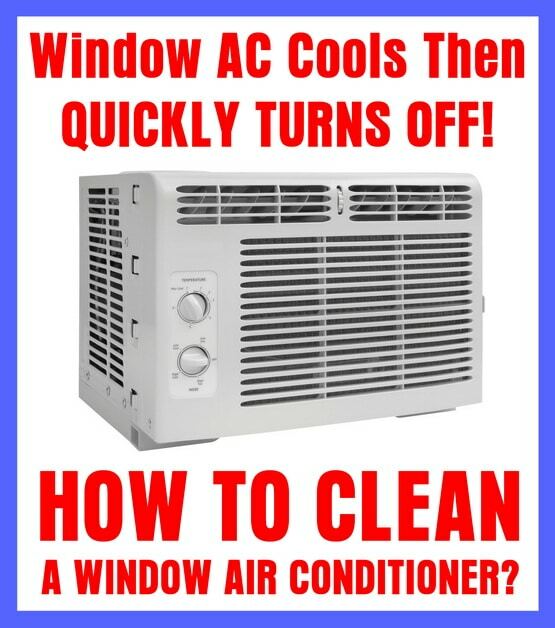 How to Clean a Window Air Conditioner? If your window AC or air conditioner only blows COLD air for a few minutes and then turns OFF and just blows air, try thoroughly cleaning the unit. It may be turning off because the compressor is overheating or the filter is dirty. 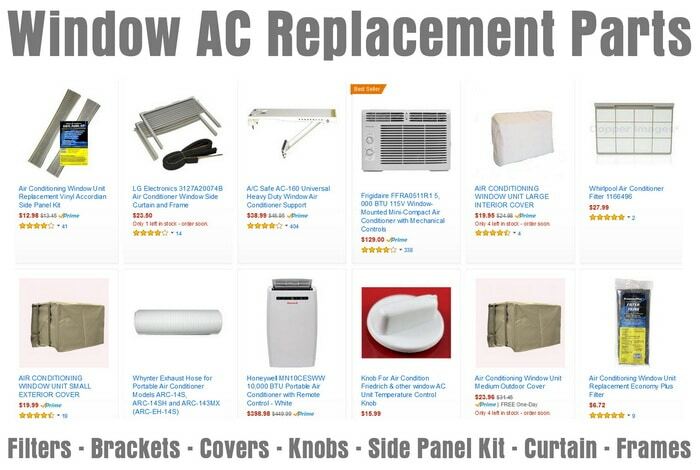 A window AC unit can leak refrigerant over time, it will depend on how old your AC unit is. The AC coming ON then OFF quickly may just be the thermostat cycling as normal. The room may already be cold enough and the window AC thermostat senses it and turns off the COOLING mode. If there is dust and dirt that has accumulated inside the AC or air filter, the compressor may overheat and turn OFF prematurely and the unit will not cool. Cleaning your window AC unit will help it run much more efficiently and cool the room faster and colder. After cleaning the AC, check to make sure nothing is disconnected or damaged (compressor, thermostat, thermal overload switch, control switches) if so replace parts, get the unit serviced, refill the cooling refrigerant, or replace the complete AC unit. Next post: How To Get One End Of A Stuck Drawstring Pulled Back Out Of A Hoodie?